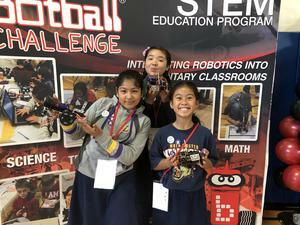 Students learned how to write codes for robots while using the engineering design process. 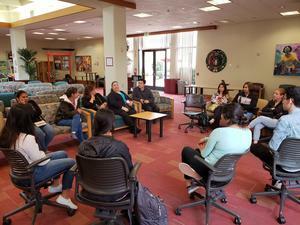 Kennedy hosted a parent filed trip to Santa Clara University to allow parents to get an idea of what campus life is like for students. At Kennedy we continue to celebrate each other's cultures. 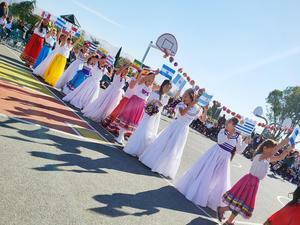 Parents, families, students and members of our community came out to celebrate spring with a Spanish flair. 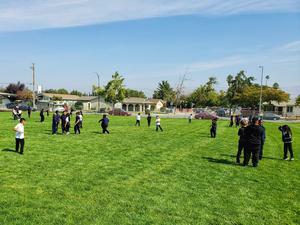 On Saturday, April 28th, Kennedy students, staff, parents, district superintendent, community members and representatives came out to Kennedy to add beautiful colors to our campus. The Kennedy Community is thankful for the FMSD maintenance department! Kennedy school grounds is receiving much needed care. Happy Lunar New Year ! Chúc Mừng Năm Mới 2018! 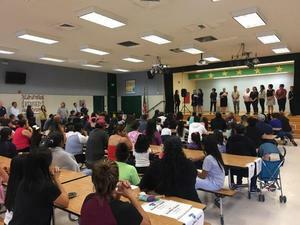 Students were filled with excitement today as we celebrated our Vietnamese Heritage. GoGo Skater performed at Kennedy. Students learned to never give up on their dream as they watched spectacular jumps done by skateboarders.